Earlier this month, I was so excited to be selected to be a tester for Coffee & Thread’s just released pattern, the Ania Tunic! I have tested one other new pattern before, and it is extremely empowering and undoubtedly humbling at the same time to help a pattern designer (aka GENIUS) perfect their sewing patterns for mass release. Olga from Coffee & Thread is so talented, and I used her gorgeous Eleena Dress pattern to sew up the girls Easter/Baptism dresses back in March (see them here). 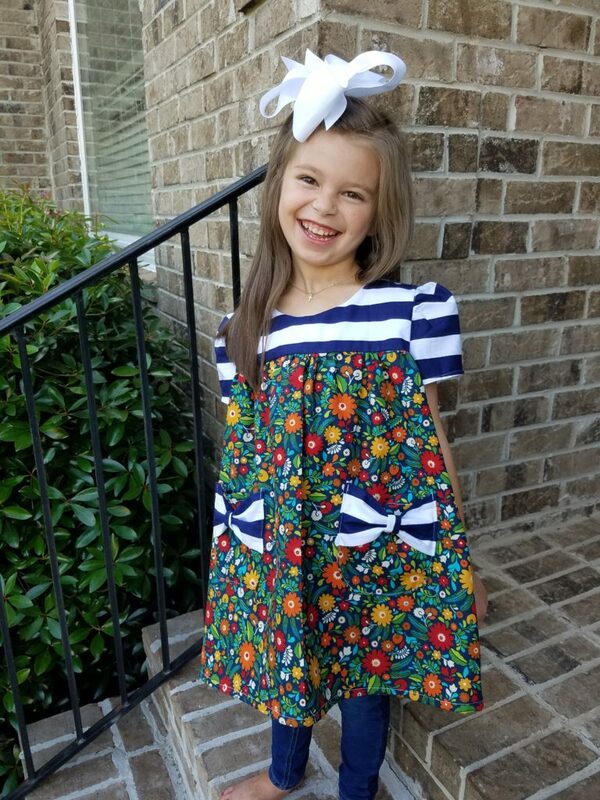 She was so easy to work with and had such a wonderful vision of exactly what she wanted in this pattern. And y’all?? She totally delivered!! The Ania Tunic Pattern is so versatile- it comes in woven or knit (and has different instructions for each), and long or short sleeves. 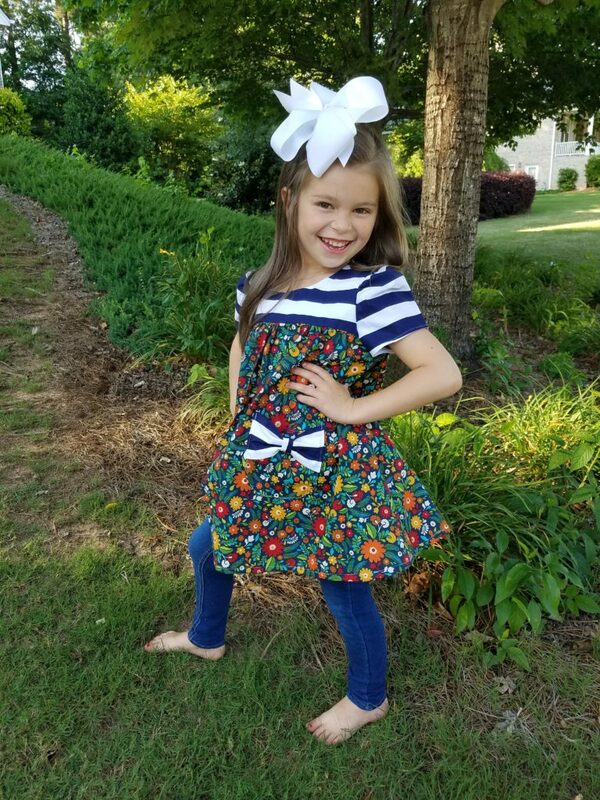 It is the sweetest little swingy tunic, and perfect for ruffley shorts underneath, or Brantley’s favorite- leggings! It buttons at the back neckline, and is perfect for school, or playtime, or church, or really any occasion. The sweet gathers at the shoulder and the gathered front and back panels make the tunic feminine yet totally playtime-worthy. With the knit and woven options, you really can dress it up or down depending on your fabric choices. 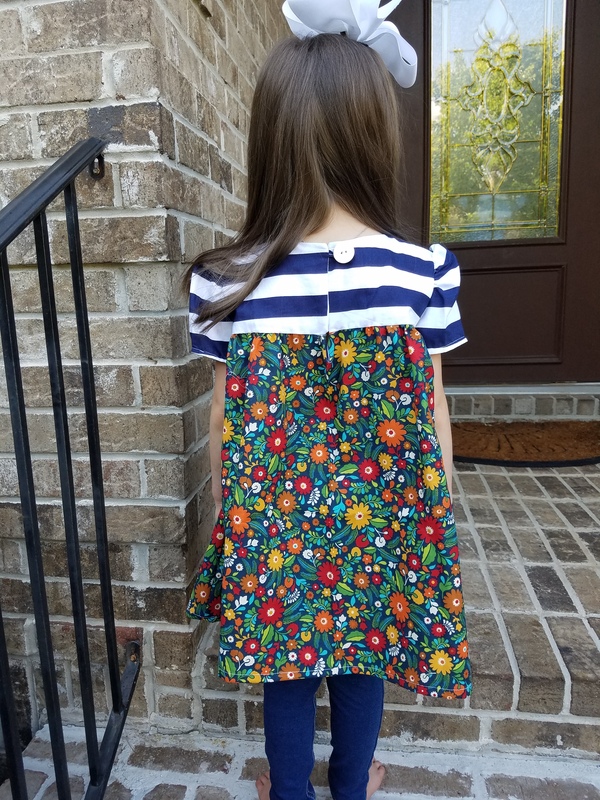 And speaking of fabric choices, I love that the bodice and skirt are different pattern pieces, so you can really get creative with different prints, colors, or textures! I am really a sucker for stripes and florals combined right now, and happened to have these fabrics on hand already. And those POCKETS! The sweet little bows that adorn the patch pockets are perfect for filling with sweet little girl treasures (or rocks-like Brantley, haha!). 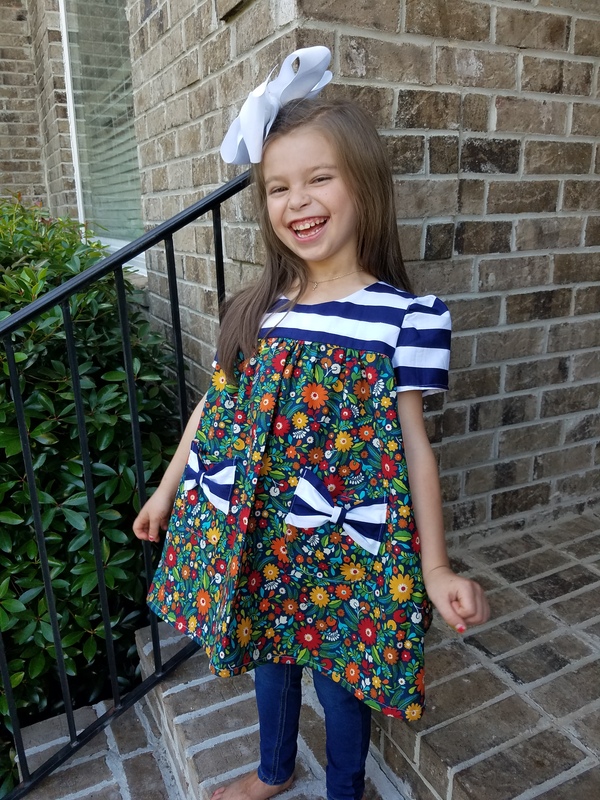 The pattern is available in sizes 9/12m-12 years, so matching outfits for sweet sisters are definitely an option (such a plus for me!). The tunic pattern is available for purchase now (check it out here) for only $6 through June 6th!! Also check out all the beautiful tunics on Instagram by following #aniatunic. 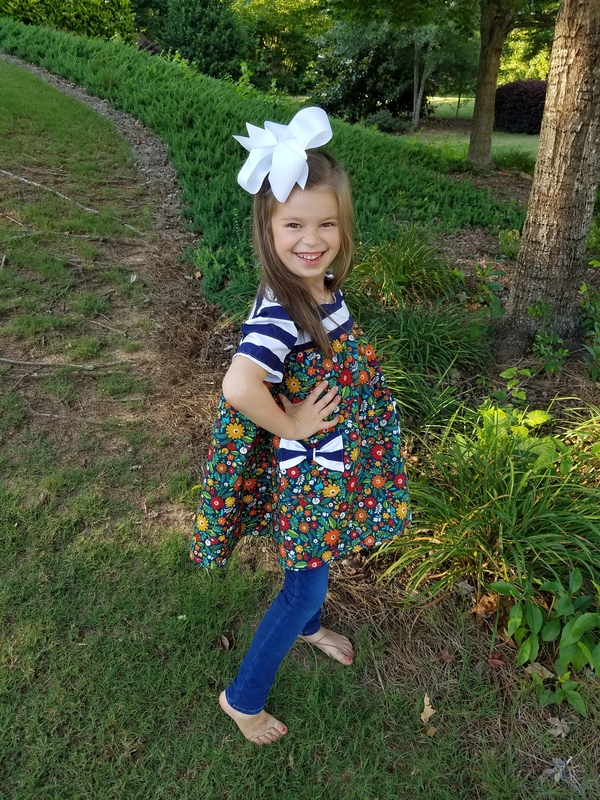 If you are sewing up a school wardrobe for your girl, or need a pretty top for a birthday gift, or just want to make a new cute playground top, the Ania Tunic will be perfect. Congrats to Olga and Coffee & Thread for another beautiful pattern!